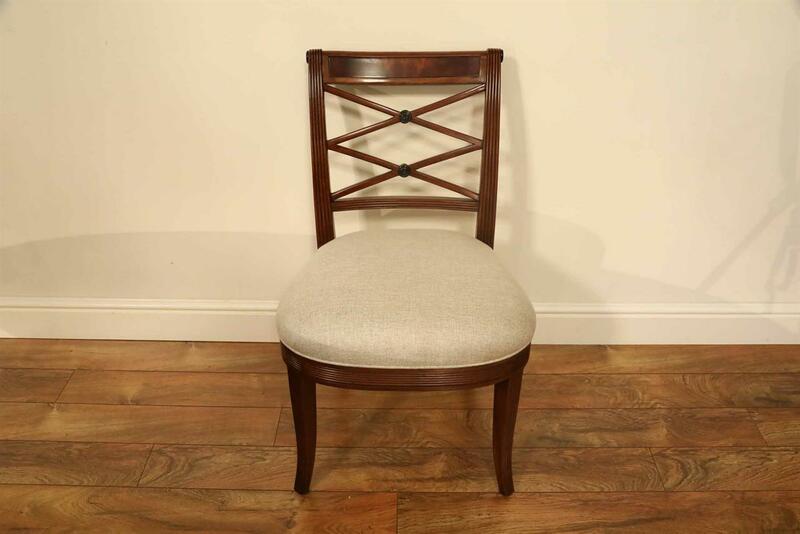 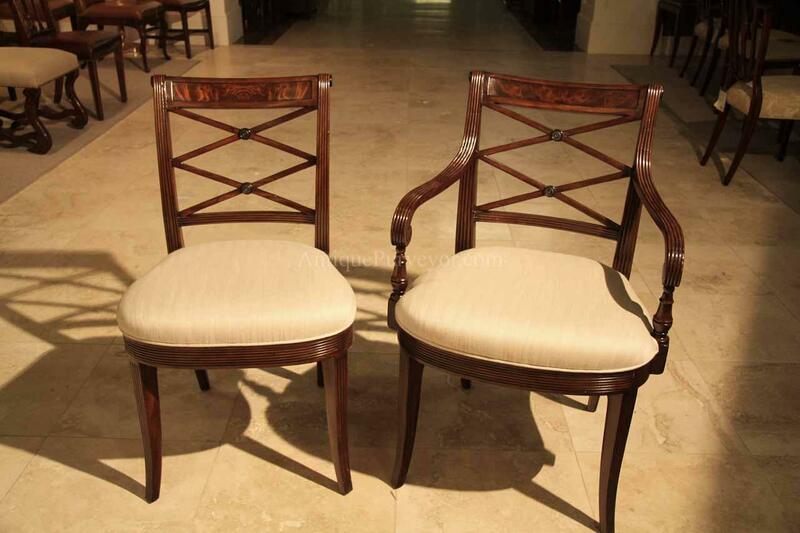 Description: Low profile upholstered cross back dining chairs. 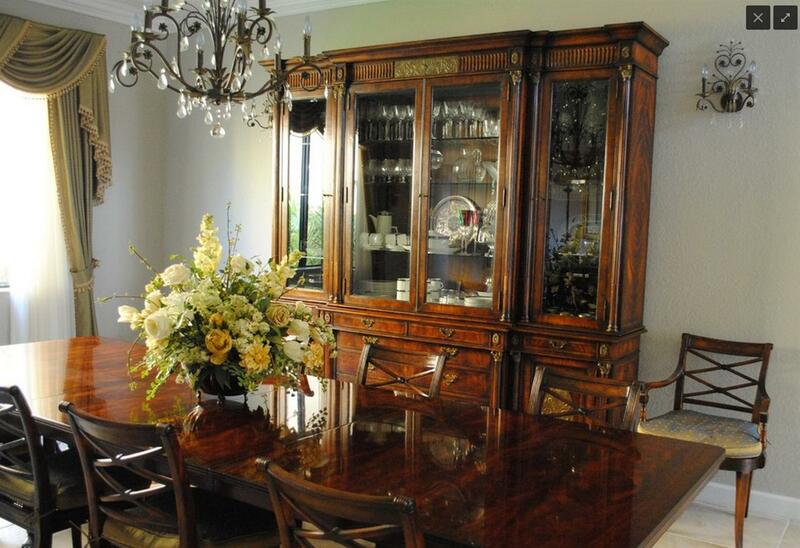 Comfortable and fine reproductions for an estate of any magnitude. 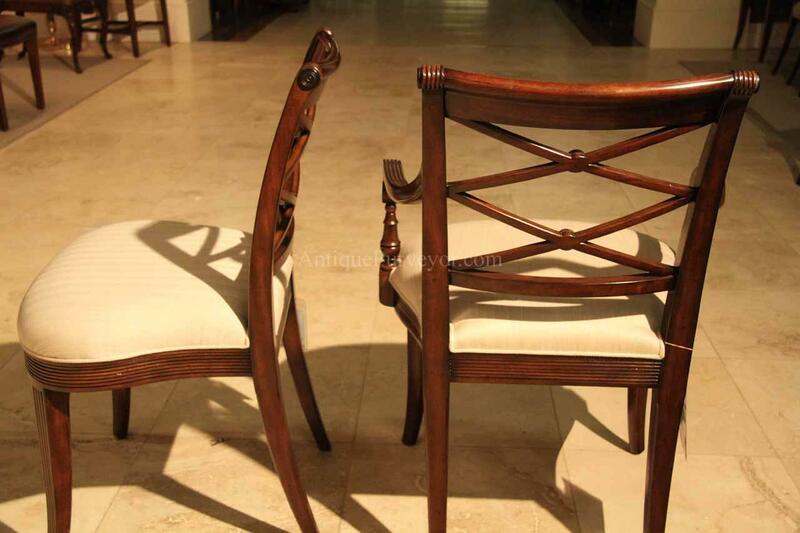 Sturdy, traditional and skillfuly distressed to look and feel like a genuine antique. 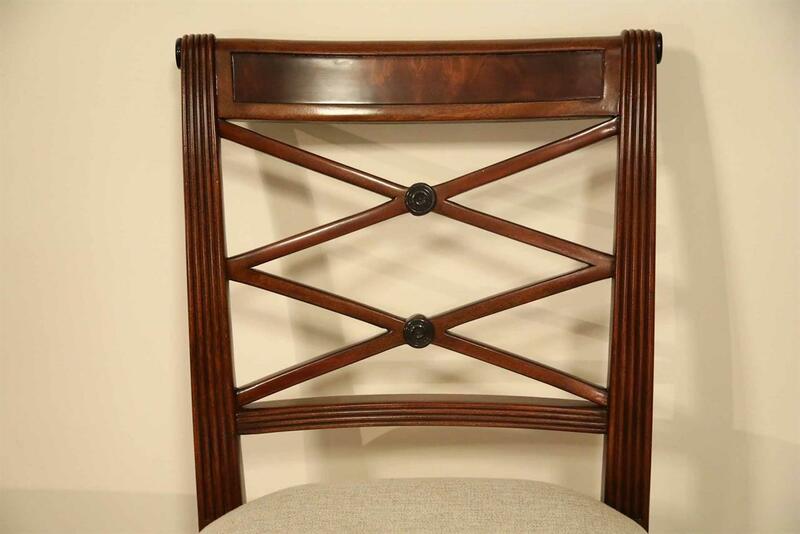 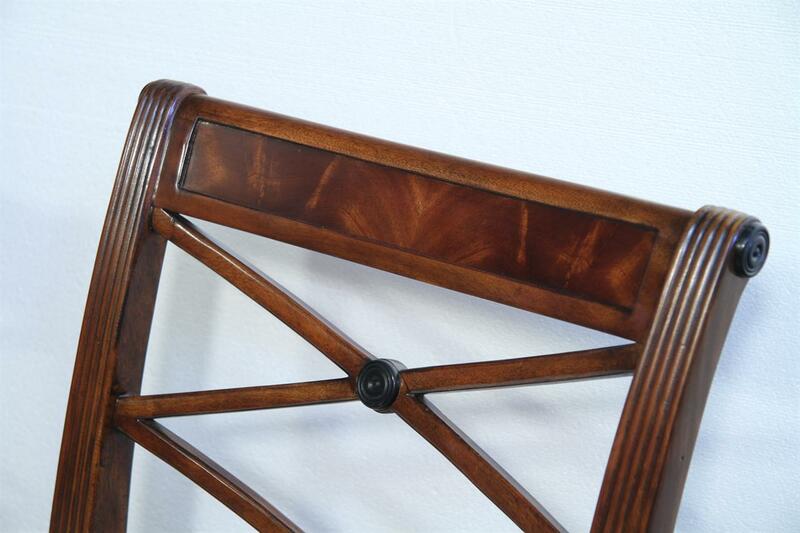 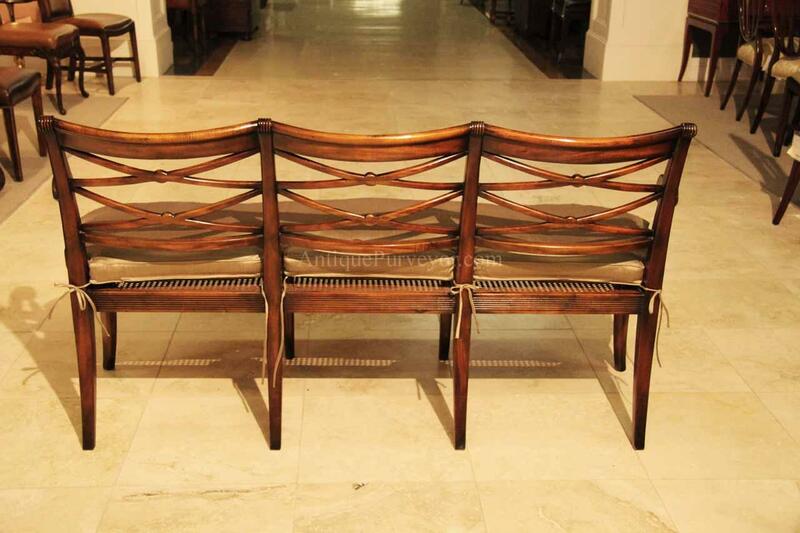 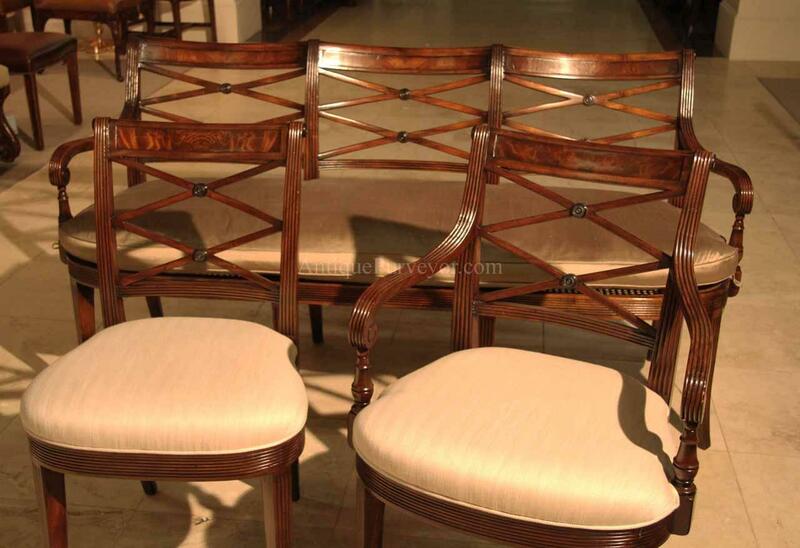 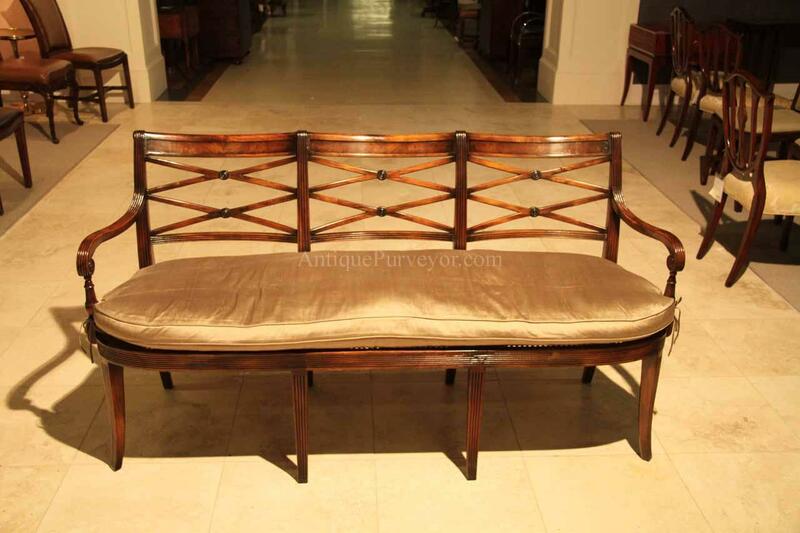 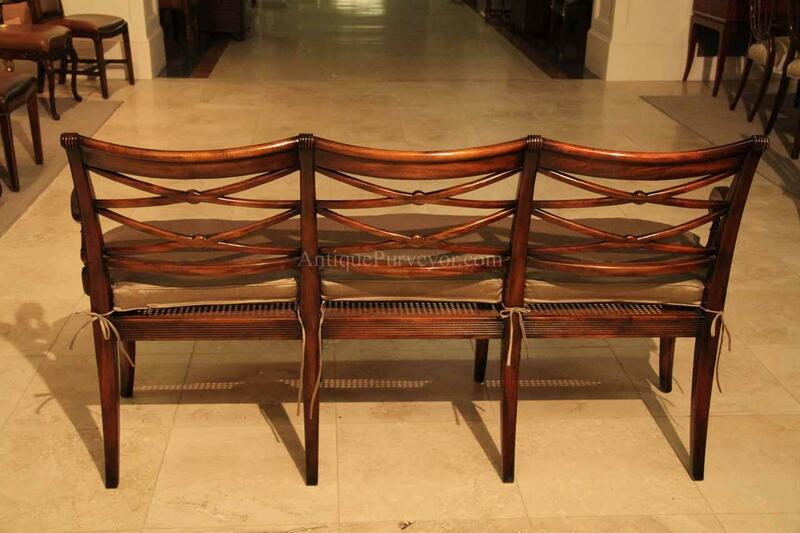 Double 'X' cross backs, Cerejera inlaid splats, reeded frames and legs. 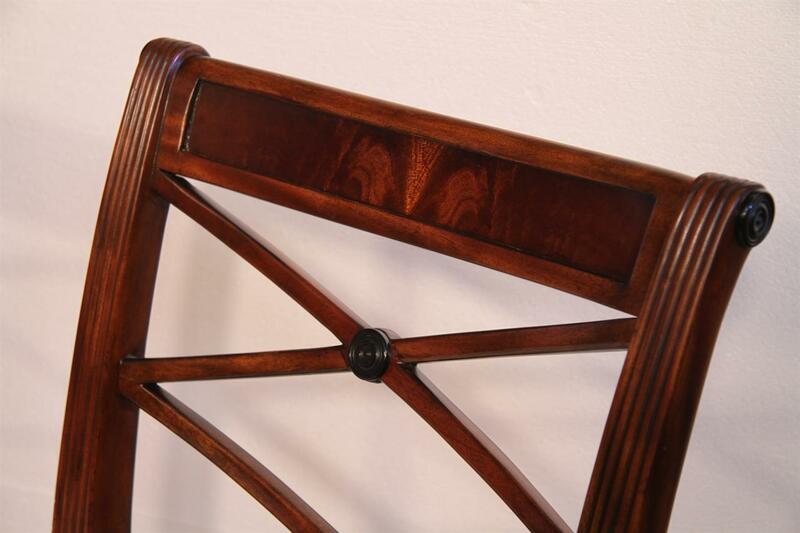 These chairs have an advanced and multi step finish which is apparant as soon as you see them. 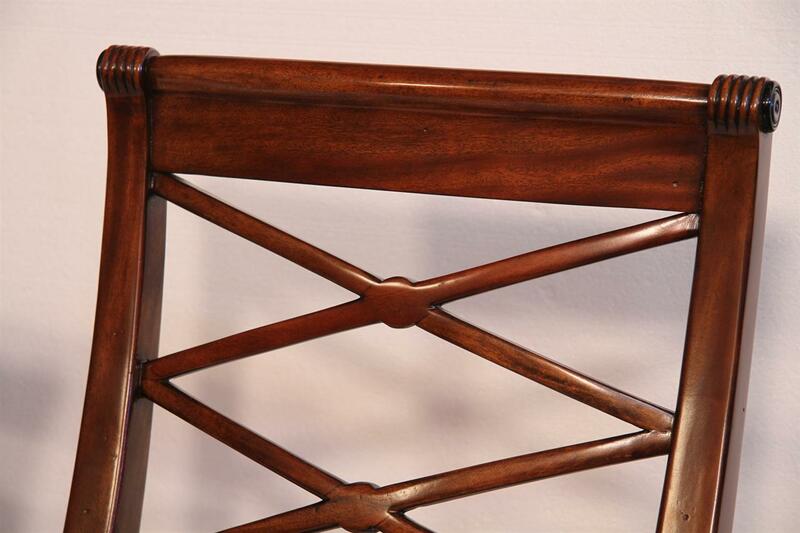 The finish iteself has lots of depth and character. 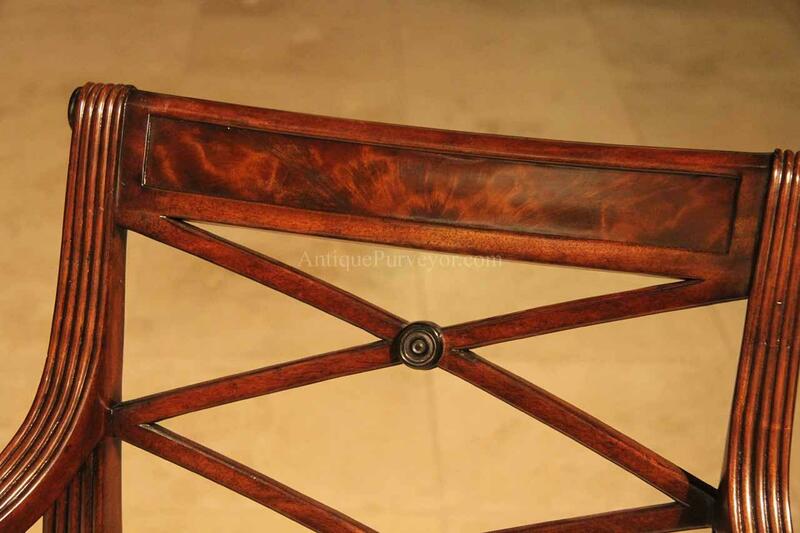 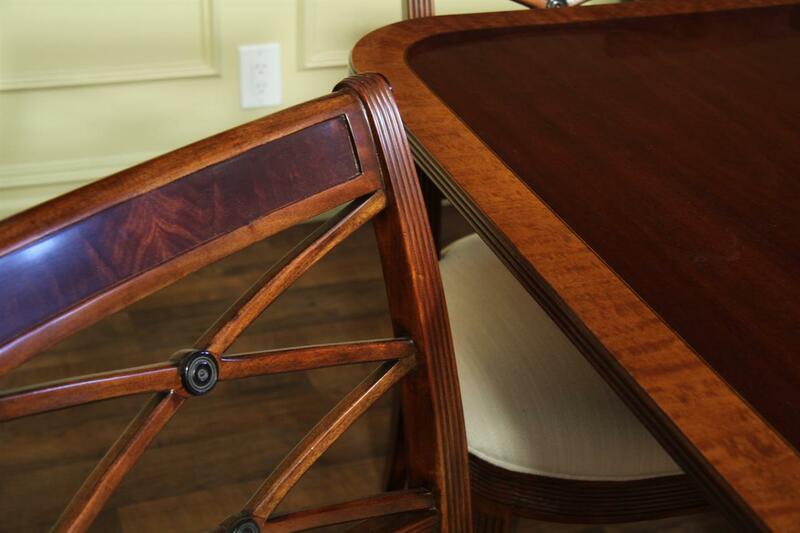 Traditional brown mahogany color with tones of merdium brown and amber. 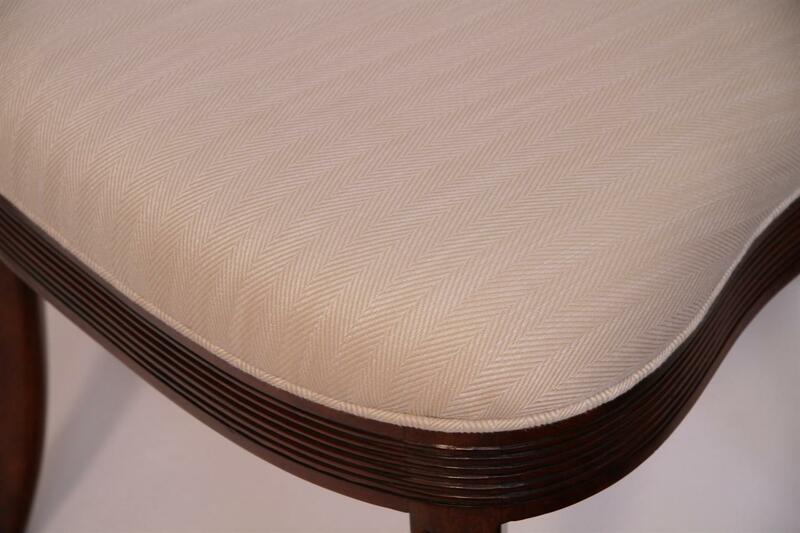 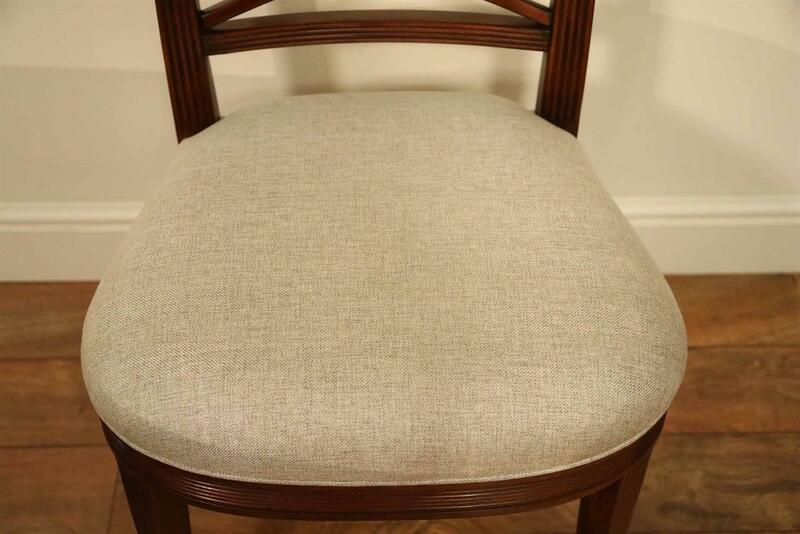 Widely accepted linen color durable chevron weave fabric is standard for in stock chairs. 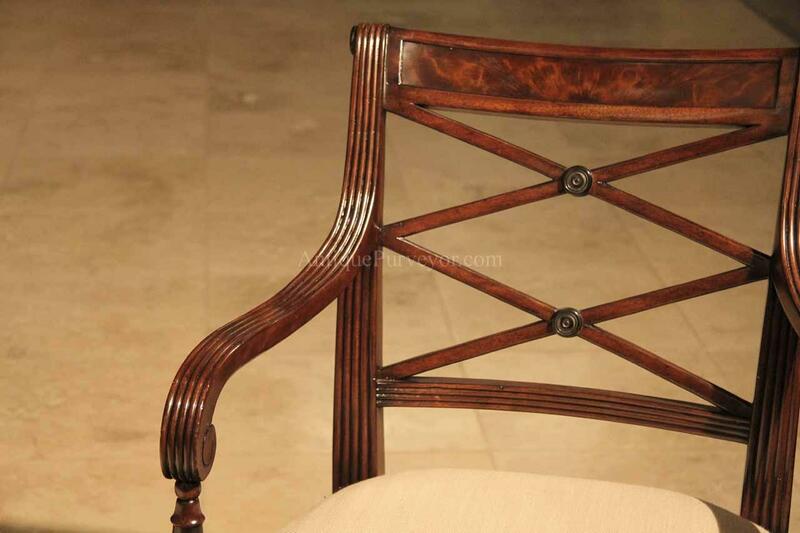 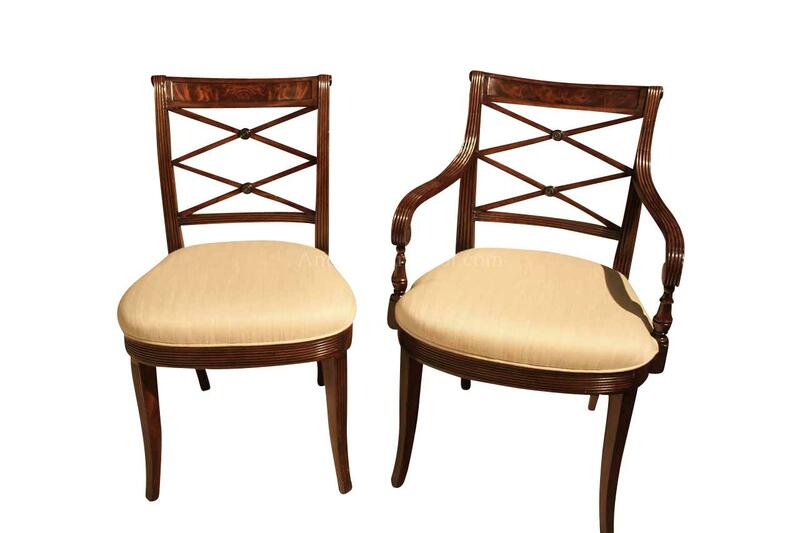 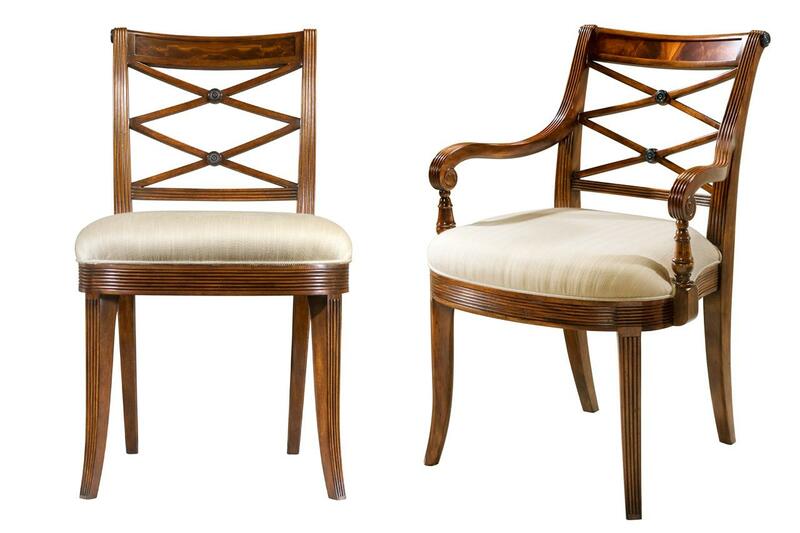 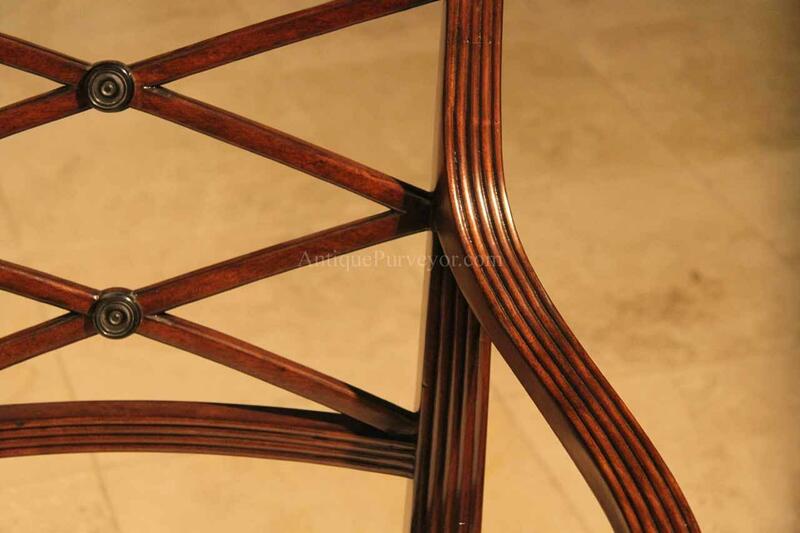 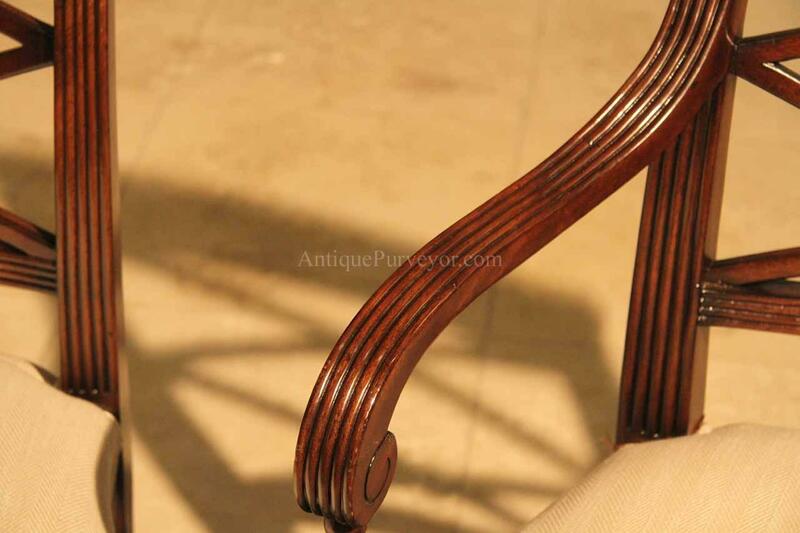 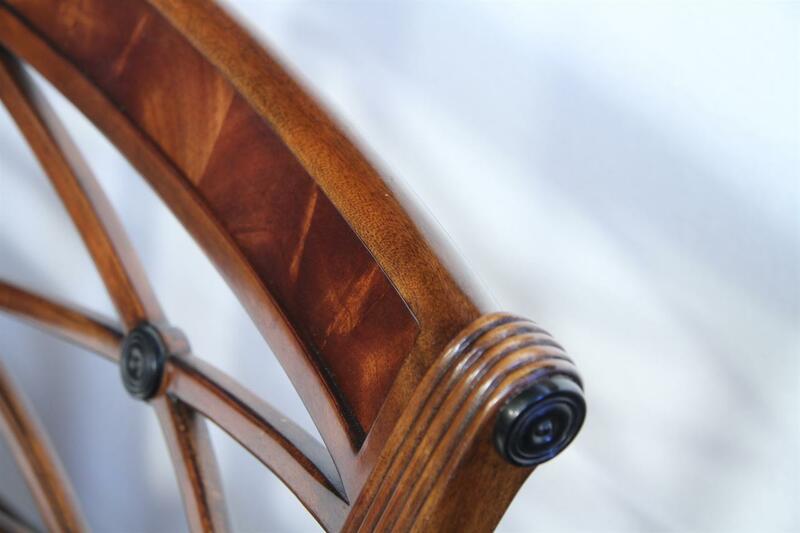 These are very heavy chairs and made from dense and expensive mahogany material. 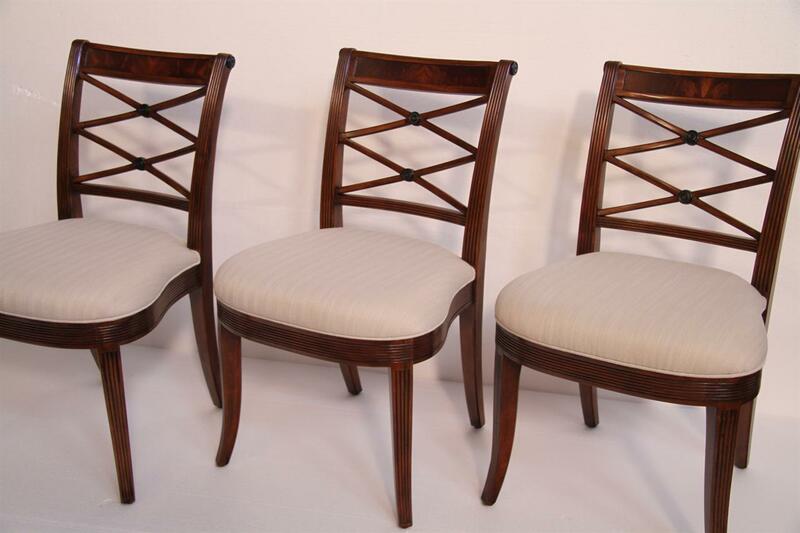 They look great, sit comfortably, handle heavily and they are built with traditional methods. 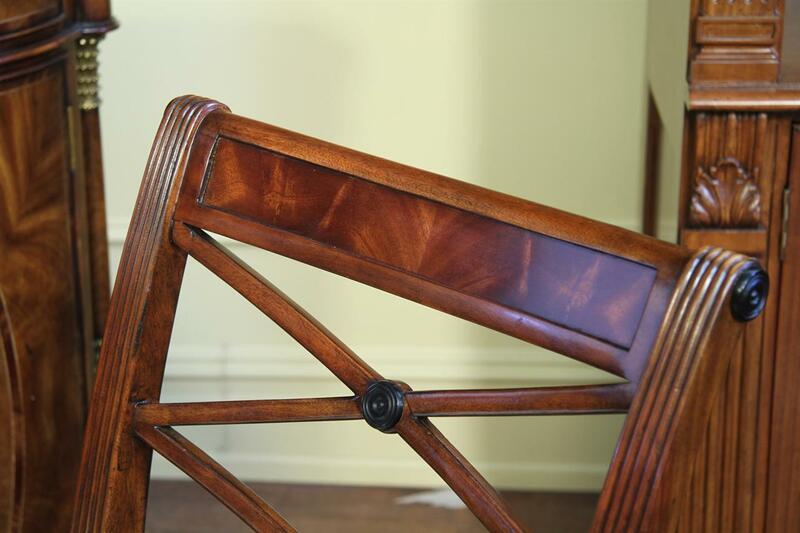 Impresssive chairs. 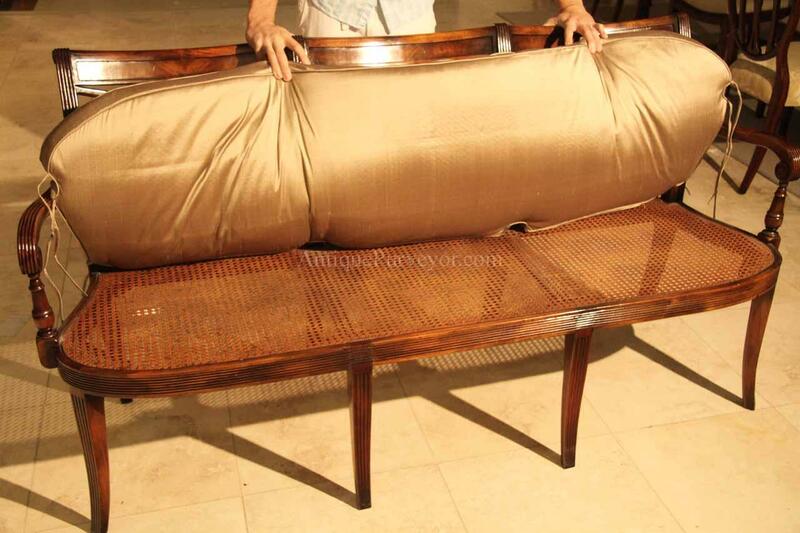 Your guests will think youve just inherited them.